This is the best wireless plan in America. Defense Mobile is not a wireless provider, but a conduit into the top three providers in the U.S. market. They’ve teamed up with Verizon, AT&T, and Sprint to bring all active-duty military, veterans, and their families the most variable and cost-effective mobile plans available to anyone. Period. Defense Mobile believes that military members and their families deserve to have the best coverage at the lowest prices, and that is exactly what they have brought to the table. When I first heard about this, I was, as you might expect, kinda skeptical. No way this can be true. Somehow they’ve gotten three mobile juggernauts to work together and support the men and women who have served to protect our nation. All the newest phones, like Apple’s iPhone 6+, Samsung Galaxy S5, and Motorola’s Moto G, to name a few. Your service will be with one of the three major carriers: Verizon, AT&T, or Sprint, so you don’t have to worry about compromising quality of service. Keep your existing wireless phone number. The ability to use Motorola Migrate or similar service to transfer all of your messages, videos, and photos from your old phone to your new. You also have the option of keeping your existing phone and converting with a Defense Mobile SIM-card. If you move, PCS, or you are not getting optimal coverage, contact Defense Mobile and they will switch you to a provider that works best for your needs. There really are no downsides to Defense Mobile. They provide the same talk, text, and data—along with all the apps your previous carrier provided—but at a much lower price point. They have a commitment to hiring 100 percent veterans for their customer care team, so if you ever need to call them, you will be speaking to a fellow veteran committed to taking care of you. Defense Mobile gives back 10 percent of all profits to charitable organizations, including Children of Fallen Patriots, Boulder Crest Retreat Foundations, Special Operations Warrior Foundation, Lead The Way Fund, and the Red Circle Foundation. For the past week, I have been using Defense Mobile’s service with the Motorola Moto G smartphone. What makes the Moto G so great is its affordability and its ability to perform all the tasks that I need on a daily basis. Comfortable curved back that boasts a variety of interchangeable options to customize your look any way you wish. The Moto G is the perfect phone for the person venturing into the larger smartphone market or the new private in the military. When I was a private fresh to 3rd Ranger Battalion, I was required to have a cellphone so that I could be notified of alerts and updates from my squad and team leader. The Moto G would have been the perfect phone for my time in the Rangers. This is also a great phone for the high-risk adventurer who doesn’t want to worry about scratching, losing, or destroying their new iPhone 6+. The picture quality on the 5.0″ display is crystal clear and is perfect for viewing video or surfing the web. All the apps provided with the phone and the ones I downloaded have run seamlessly – Chrome, Google Play, Google Maps, Facebook Messenger, Twitter, Instagram, and YouTube – all apps have performed without a single hitch. The processor is ultra fast and there is no waiting around as I jump from email to Facebook to streaming a YouTube video. Defense Mobile also has some custom apps called MiliSource and MiliCash that I will be using and reviewing in the future. If you are new to the world of smartphones, want to upgrade to a larger and faster platform, or don’t want to have to worry about what state your phone will be in after your next adventure, check out what the Moto G from Defense Mobile has to offer. And don’t just take my word for it, check out Brandon’s review of Defense Mobile over on SOFREP. 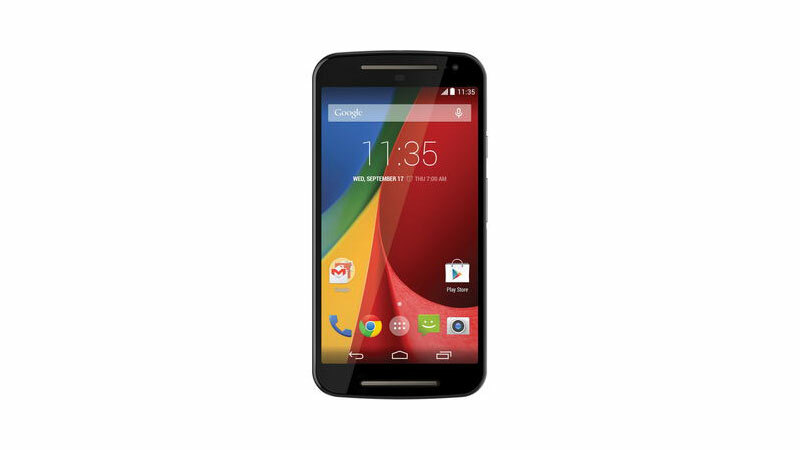 Get a FREE Moto G (1st Gen) refurbished device when you purchase a Delta plan or higher! Enter promo code FORCE12 in your shopping cart before you proceed to checkout to receive this offer! Only available at defensemobile.com.